Sting.com > News > Sting To Perform On CBS News' ''The Early Show'' As Part Of ''The Early Show Summer Concert Series'' - Free Tickets Available For Sting.com Members! 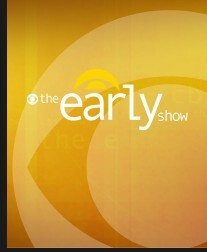 Sting To Perform On CBS News' "The Early Show" As Part Of "The Early Show Summer Concert Series" - Free Tickets Available For Sting.com Members! Some of the biggest names in music are slated to perform free, outdoor concerts live on The Early Show's plaza throughout the summer as part of "The Early Show Summer Concert Series" and on July 15th, Sting will be performing some of his greatest hits, re-imagined for symphonic arrangement. Sting.com members can register for up to three (3) free tickets by clicking HERE and entering the promo code "Sting.com" in the "Comments/Keywords" box. The Early Show plaza is located at 767 Fifth Avenue at 59th Street in New York City and guests receiving tickets will need to arrive by 10:30AM on the day of the taping. Please note, this performance will air on Friday, July 16th during the CBS Early Show broadcast.